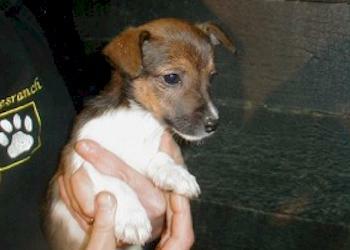 The Jack Russell Terrier is one of the most intelligent breeds. This small, but fierce hunting dog therefore behaves rather funny. As long as the get a lot of attention and exercise, this dog fits in perfectly. The Jack loves the life outdoor where he can do whatever he wants. The short-legged Terrier is the most common, but there is also a long-legged variant. The smooth fur doesn�t need a lot of treatment.